Tetlow King Planning (TKP) along with Tetlow King Architects and Urban Designers (now known as Thrive) achieved a Commission for Architecture and the Built Environment (CABE) Building for Life Gold Award for a major housing scheme at Fairfield Park, Stotfold, Bedfordshire. The project encompassed the transformation of a former hospital site to create 1,200 homes. 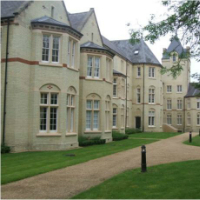 The input of TKP was in the early stages in preparing the Development Brief, Masterplan and Design Code on behalf of Mid-Bedfordshire District Council (now Central Bedfordshire Council). The ultimate scheme was developed by a range of house builders including Persimmon Homes, Twigden Homes, Stamford Homes, Taylor Wimpey and Bovis Homes. CABE cited the scheme as “a high quality development which benefits from a coherent masterplan” and referred to a “record” having been achieved as this is “the largest multi-developer scheme ever to qualify and achieve Gold”. TKP were also involved as planning consultants on a further Silver Award scheme. This was in relation to a 69 dwelling scheme for Knightstone Housing Association at Ducrow Court, St Pauls, Bristol; this time in conjunction with GCP Architects and Leadbitter Construction.